What causes off-putting odours in septic tanks? Well, the obvious answer aside, there are a number of factors that can lead to unnecessary smells that most of us would rather not have to deal with. In this edition of the DL Environmental Services blog we’ll explore septic tank smells (not literally!) and what causes them. A septic tank is a chamber where sewage and other wastewater from your home flow to. This usually contains its own environment of bacteria and other microorganisms. These microorganisms help decompose the wastes found in the tank. However, these can also cause some foul odors to be produced. 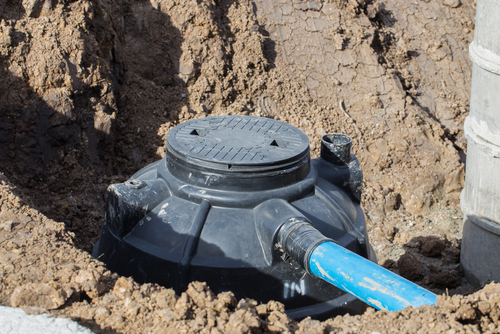 Septic tanks, when properly constructed, will usually produce zero to minimal odor. Problems with the waste system can cause odors from the tank to leak out. There are many issues with the sewage system that can cause septic tank odor. 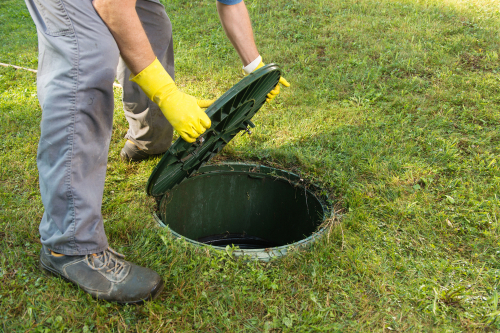 Here are 5 common causes of septic tank odor and how to reduce it. The plumbing trap is a curved pipe that traps odors and prevents them from escaping. The curvature is usually filled with water. This makes sure that any gases are blocked off to prevent escape. If the liquid drains out or is removed, then there will be nothing to block off the smell. This can cause foul odors from the tank to move through openings through the other end of the trap. The smells could escape to the inside of your home. Make sure to fill up the trap with water once in a while to make sure that it does not get completely drained. The drain-waste-vent system, also known as the DWV system, helps in removing liquid wastes from a building. A prevalent problem that involves the DMV system is clogging. This is especially during winter when the pipes of the DMV system could become clogged with ice. Flushing solid objects like napkins and toilet paper down the toilet can also sometimes cause clogging. Make sure you consult with a plumber. The septic tank is usually sealed and covered with a manhole. If you notice smells near the opening, then there could be a problem with this seal. Check the edges of the opening to make sure that there are no issues with it. Blocked, broken and leaky pipes are some of the most common causes of foul smells from the septic tank. These are even capable of damaging parts of your home through water damage. There’s really no other way to fix these aside from contacting a professional plumbing service. 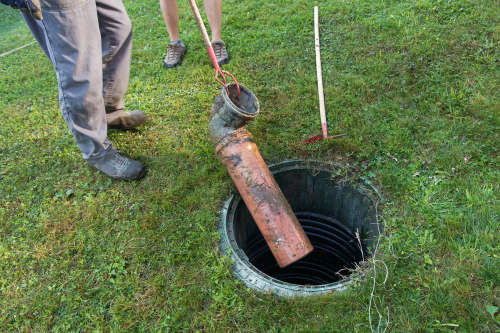 A flooded or full septic tank may cause some of the liquids inside to leak. These liquids naturally smell very bad, so the leak may be the cause of the odor. Have your septic tank cleaned and drained to fix this problem. If you have a problem with septic tank odour or other issues with your septic tank or sewage system, contact D&L Environmental Services. Our friendly and professional staff will be able to detect what’s causing the odour and get to the bottom of the situation.